You have a shop to sell your product, and you have a lot of the customers, you often have to delivery to customers of course. However you will have to spend a lot of cost and time for customers who are too far, so you need to extra costs for shipping, but have a problem occurs, if you charge a fixed, so will not be fair and accurate, sometimes disadvantage for customers in closer than, you also can not be calculate for each customer, each order because it takes a lot of time and sometimes you can not know exactly the distance that you have to delivery for them. 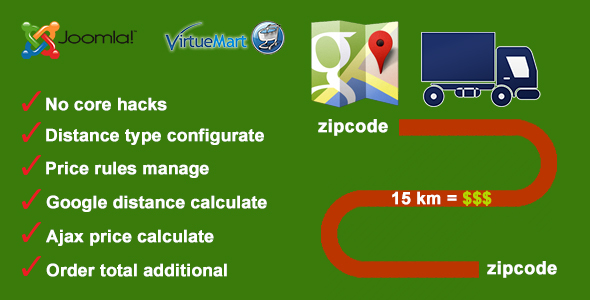 Come with “Distance Price Calculation for Virtuemart”, a powerful plugin will help you do this fully automated. 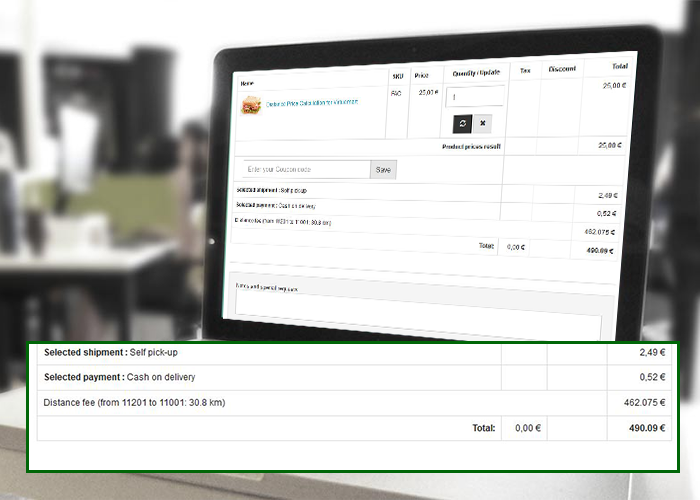 Automatically calculates the distance from your store to the delivery address and add cost to the total order, you will not have to do anything. You can also see the distance and fee in order page. Accurate, fair, pleasing your customers and increase your sales. Very easy to install and use. If you have any difficulty while using or you want to customize a few features to the product, do not hesitate to contact me. Admin can be configurate distance type. Admin can be setting price rules. Distance will be calculated by Google. Price will be calculated by Ajax. Order total will be added automatically. Admin can see distance in order page.